Flood damage can cause contamination and soiling in your property, which can expose you to health risks. Flood damage can lead to mold growth and cross contamination of microorganisms which can the property hazardous. Flood damage has the tendency to affect all areas of your home, thus deteriorating the quality of building materials, water supply systems, drainage, and much more. Flood damage can severely damage your carpet, curtains, books, wooden materials, and much more. Knowing the potential risks of a flood damage is a good start. The next step is to find a good flood damage restoration service provider. As a leading fulltime damage restoration service provider, we offer comprehensive treatment for flood and water damage and make sure your property is in a livable condition once more. If there’s water damage in your home, you will need to take action immediately. Don’t hesitate, ignoring the problem will only make the damage worse. 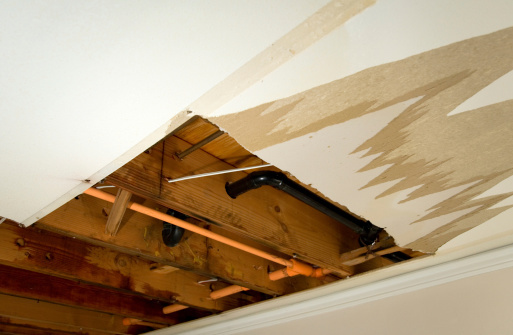 Contact OC Plumber immediately if you have any water damage. We specialize in providing hands-on treatment for water and flood damage. Our team of expert technicians, property inspectors, plumbers, damage restorers, and support staff are ready to assist you and are dedicated to improving the current condition of your property. We pride ourselves in being an all-encompassing water damage restoration service provider and we realize that every property has unique circumstances in damage. This is why we are not only meticulous in the work that we do, but are also very competitive in our pricing. We tailor our treatment plans around your needs and are committed to achieving customer satisfaction with the most cost effective solution for you. At OC Plumber, we realize that there’s no way to predict an accident or emergency. This is why we offer 24/7 emergency flood restoration services. We are dedicated to restoring your home from start to finish. Once you give us a call, our team of property inspectors and technicians will head your way and will conduct initial inspection of the property. During this phase, we determine the source of damage, the extent of it, and what materials and systems in your property the damage has affected. After completing the inspection, we will provide you with a quote. Once you’ve accepted, we will start restoring your property immediately. With our experience and expertise in the industry, we are able to bring innovative yet affordable treatment solutions to our customers. We employ various tools like infrared detectors and probes to determine the quality of the materials in your property. And by conducting processes like cleaning, evacuation, dehumidification, and ventilation, we eliminate water, cross contamination, and mold from your property to make it livable once more. If you’re not sure about what we can do for your property, you can always call us in for free consultation. If you are looking for affordable and comprehensive water and flood damage restoration in Orange County then you’re just at the right place with us! Contact us at (949) 461-1141 for flood restoration today!